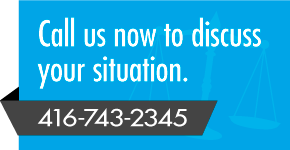 At the two North York offices of Norman L. Durbin, you can always count on prompt help in the following areas of law. If you’re suffering the trauma of a divorce or criminal charges, or you simply would like expert legal advice on commercial real estate law, make an appointment with me at either my Jane Street or Bloor Street offices. I’ll be happy to unravel the mysteries of power of attorney or business purchase/sale, among other areas. I look forward to helping you.